The Himalayan Kingdom of Bhutan is considered as the only place in the world where the Buddhist traditions are mixed with the modernity. Reverence is shown to the tigers as well as flaming thunderbolt of wisdom here so Bhutan is called as the Kingdom of Clouds. Within the beautiful folds of mountains in Bhutan lies the sacred temples, villages unchanged by time, and dazzling rice fields. Visiting Bhutan would be a great way for you to enjoy the vacation more delightfully with natural beauty and culture. On your magical journey to Bhutan, you would experience and enjoy the wonders of last Mahayana Buddhist kingdom of Himalaya. Bhutan is one of the beautiful tourist destinations bringing you the best option hike to the ancient Dzongs, wander through the serene monasteries, meet the local families, witness spectacular local festivals of Bhutan and discover the amazing artistic traditions of Bhutan. Bhutan is cloaked in clouds at the edge of forest with the scent of pine thick pine and garlanded along the peach blossoms. All these show the beauty of the place making it the highest way to enjoy visiting the traveling destination. Bhutan is the place where the takins of Thimpu live. According to the local legend, Bhutanese National Animal has been created from lunch eaten by the Lama Drukpa Kunley, 15th century Buddhist saint called as Divine Madman. According to the story, Lama Drukpa Kunley combined the skeletons of cow and goat then brought them to life with the loud belch. Jigme Singye Wangchuck, king of Bhutan, in the 1990s granted takins freedom from captivity of a zoo. Based on the gesture represented as early ripple before wave of modernity that allow to sweep through secretive mountain kingdom and this is the world of its own in between China and northeastern tip of India. 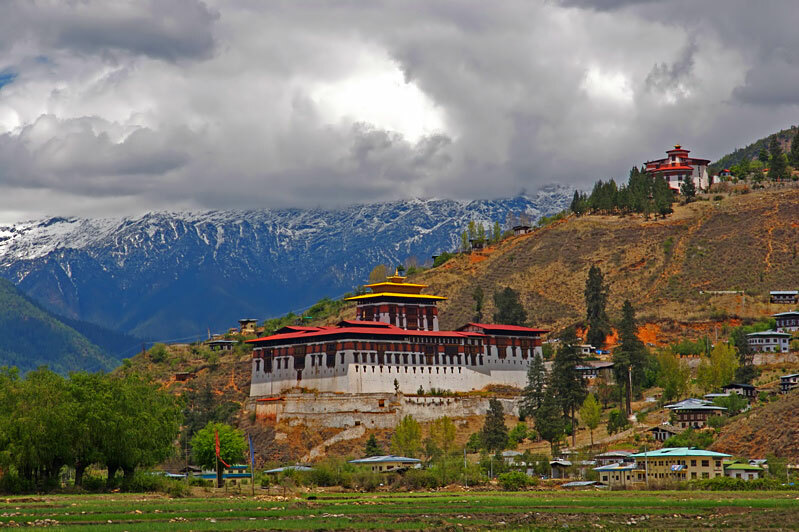 Paro is one of the amazing traveling destination in Bhutan located in the west of Thimphu. Paro is known for many number of sacred sites in the area. The Taktsang Palphug (Tiger’s Nest) monastery is located in the cling of the cliff above forested Paro Valley. Drukgyel Dzong is the defensive fortress from the 17th century is also located near to the Paro. The Dungtse Lhakhang is 15th century temple that is located near to the Bridge along with the Ugyen Perli Palace visible through the fence. Phuntsholing is considered as border town in the southern Bhutan in administrative seat of Chukha District. Phuntsholing town occupies Phuentsholing Gewog and Sampheling Gewog. Phuntsholing has India-Bhutan border separates 2 different peoples and cultures. Phuntsholing is also the uniquely more urban when compared to the Bhutanese towns. It is more quiet and orderly than its neighbor enabling highest beauty in the amazing manner. Traditional crafts are taught in Bhutan to the fresh generations at Thimpu’s National Institute for Zorig Chusum. Students here are creating the masks gaudily painted in style that is worn with the performance at the tsechus, religious festivals.